Are you performing due diligence on INS Corporation from Seoul Korea who sells Korea Beauty Cosmetics? If so, read on below to read one buyers experience when trying to buy Korea Beauty Cosmetics. 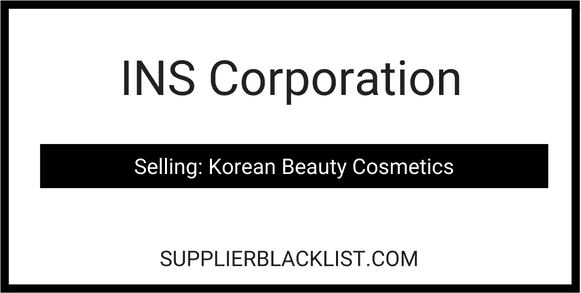 You will also find some links to help you find more related information about INS Corporation on Supplier Blacklist and on Google as well as other bad suppliers of Korea Beauty Cosmetics reported here on SBL. – 21 Mar 2018. We (foreign business consumer) first contacted Mr Darren Kim, CEO of INS Corporation (INS E&F Co., Ltd.) for purchase of beauty products. – 10 Apr 2018. We decided to placed an order for beauty products from Mr Darren Kim after several email correspondences. An proforma invoice of US$ 3,076.18 was issued on 13 April 2018. – 13 Apr 2018. Made first payment of 1,538.28 USD to INS Corporation (INS E&F Co., Ltd.) via online transfer. – 26 Apr 2018. Made second payment of 1,537.92 USD to INS Corporation (INS E&F Co., Ltd.) via online transfer. – 17 Jun 2018. Mr Darren proposed for refund. Reason for not fulfilling the order was not explained. No refund was made till now. We have been calling and emailing Mr Darren Kim, CEO of INS Corporation (INS E&F Co., Ltd.) almost every day. No refund has been made till now. He keep promising us that he will made the refund by a certain day but then, delay the payment afterwards. Do not trust anyone online, even if he sounds sincere and profound in his business dealings. 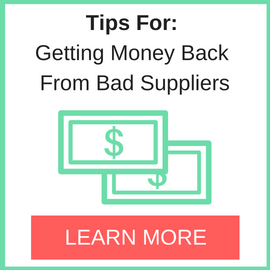 Always deal via secured online platforms with buyer’s protection. 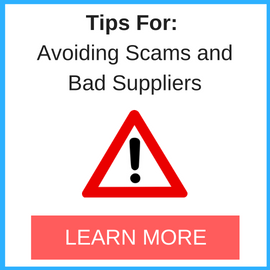 If possible, meet with your supplier in person and confirm that it is a legit business. Always trade in small volume for the first deal. Need More Info on INS Corporation? If you need more information, you can click the below links to search for more submissions about INS Corporation on Supplier Blacklist as well as go to the search results page on Google for more reviews online about this company. Perform a Supplier Blacklist search for more reviews on INS Corporation. Search Google for INS Corporation Reviews. Hi everyone, i never got my money back from INS E&F :(. Darren stopped replying to my calls, messages, and emails. No news from him anymore. I have tried to sought help from various Korean national agencies. Their replies were disappointing. – Korea Commercial Arbitration Board: they contacted Darren and asked us to settle within ourselves based on Darren’s reply. – TradeKorea (KITA): i asked the authorities to remove this company from their website as a lot of people are thinking that INS is a reputable company since it is on their website. They replied they are not able to do as it is on membership based. I faced the same situation like you did. Did you get your money back eventually? I also faced the same situation! Did he return the money to someone? Hello! He return money to you? Darren scammed me to and took over $4,000 from me. He never refund it back to me. I think we need to sue him to the court together.